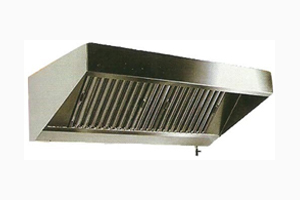 Wall Type Kitchen Hood with Fresh Air System SS Steel grade 304, Box Type, Baffle Type Filter. © 2017 Metro Fabs. All Rights Reserved.